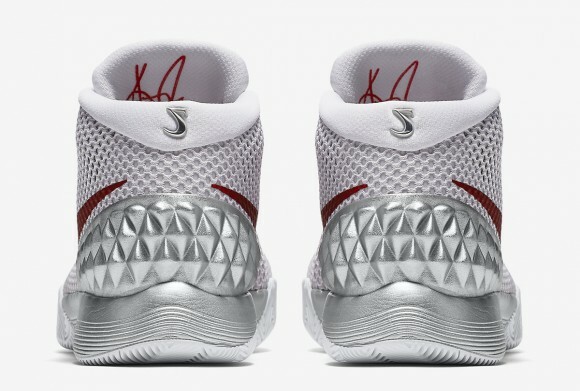 The shoe that commemorates Kyrie Irving’s first 50+ point game in the Nike Kyrie 1 ‘Double Nickel’ has dropped at multiple retailers. Irving dropped 55 points on the Portland Trail Blazers in the 2014-15 season, and put up another 57 (his career high) a short while later. 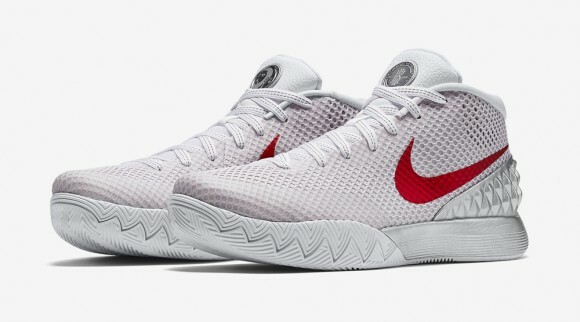 While Kyrie didn’t wear this exact colorway during that 55 point game, the back tab shows the eventfulness of that moment, with a 5 on each heel. 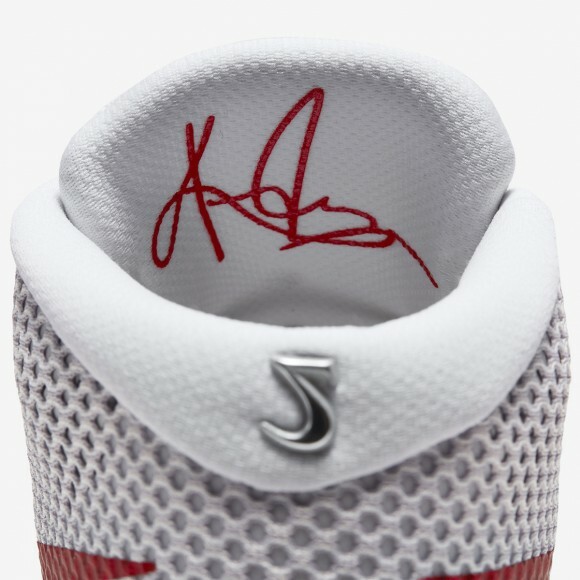 The shoe could also be an homage to Michael Jordan’s double nickel Jordan 10, with a similar basic white base and red touches on both pairs of shoes. 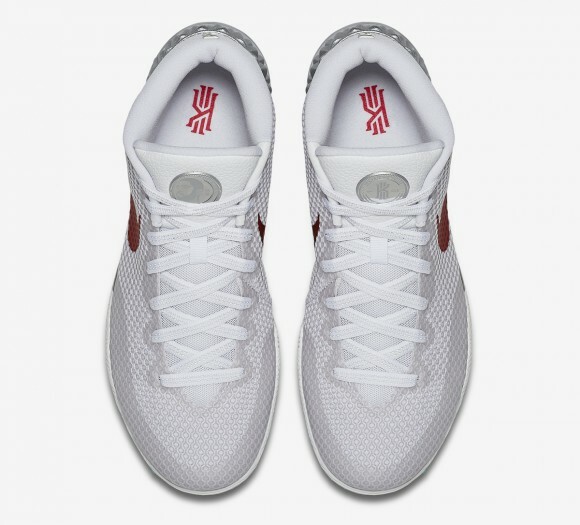 The shoe has restocked at Nikestore. Ordered at nike but when out of stock. Got them at footlocker they still had all of them. Im in love? 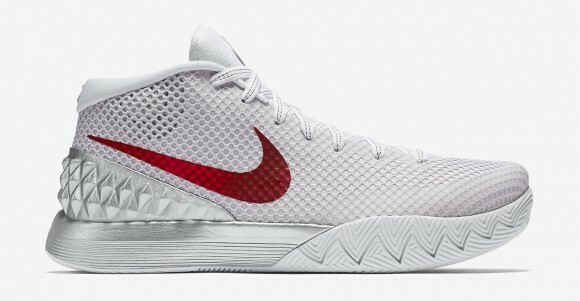 Such a clean colorway that will no doubt sell out. 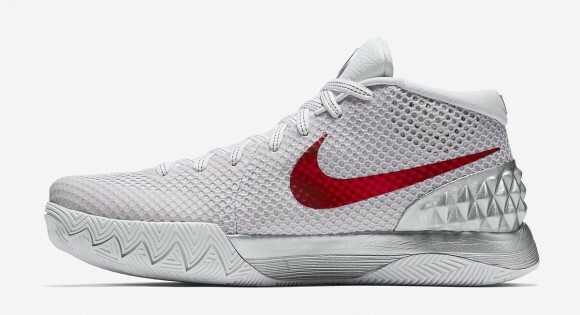 Im always interested why the colorway team at Nike doesnt use simple clean colorways for thier shoes. saw these at niketown nyc today and they look plain. not sure why the extra $20 for mainly a white sneaker.